Researchers at the Academic Medical Center Amsterdam in the Netherlands conducted a study with the aim of providing insight on the pathophysiological implications of iron accumulation in patients with Gaucher disease (GD). The study, “Hyperferritinemia and iron metabolism in Gaucher disease: Potential pathophysiological implications,” published in Blood Reviews, shows that chronic inflammation leads to iron accumulation in macrophages, and iron-overload may induce complications such as cancer or neurodegeneration. Gaucher disease is a rare disorder characterized by a deficiency in the lysosomal enzyme glucocerebrosidase, which causes accumulation of glucosylceramide in cells from the monocyte/macrophage lineage, a type of immune cells that participate in a variety of processes, such as tissue remodeling, inflammation, and host defense. Insufficient degradation of glucosylceramide causes the macrophages to saturate and to transform in the so-called Gaucher cells, which infiltrate various organs, particularly the spleen, liver, and bone marrow, leading to multisystemic abnormalities. Depending on the degree of neurological involvement, three basic clinical forms of Gaucher disease can be distinguished. Type 1 GD, the form that does not affect the central nervous system, accounts for approximately 94 percent of all GD patients. Gaucher disease patients have been shown to be more susceptible to long-term complications or to malignancies, such as multiple myeloma, liver cancer, diabetes, or Parkinson’s disease, but the factors that contribute to the increased incidence of such diseases in Gaucher disease patients are unknown. High levels of serum ferritin, a molecule that stores excess iron, are a hallmark of the disease. These observations suggest that macrophages or liver cells host an abnormal storage of iron, which may increase fibrosis and potentially lead to liver cancer. Given that fibrosis has been reported in the liver, bone marrow, and spleen of Gaucher disease patients, the investigators aimed at analyzing the literature to find out whether iron metabolism was involved in the pathophysiology of Gaucher disease. Among the 225 articles found regarding iron metabolism in GD, only 37 met the inclusion criteria. Overall, the studies supported the hypothesis of excessive iron storage in Gaucher disease patients. However, Gaucher cells were not the only ones with iron storage, as it was also observed in other cell types, such as hepatocytes — the liver cells — and in other sort of macrophages called Kupffer cells. 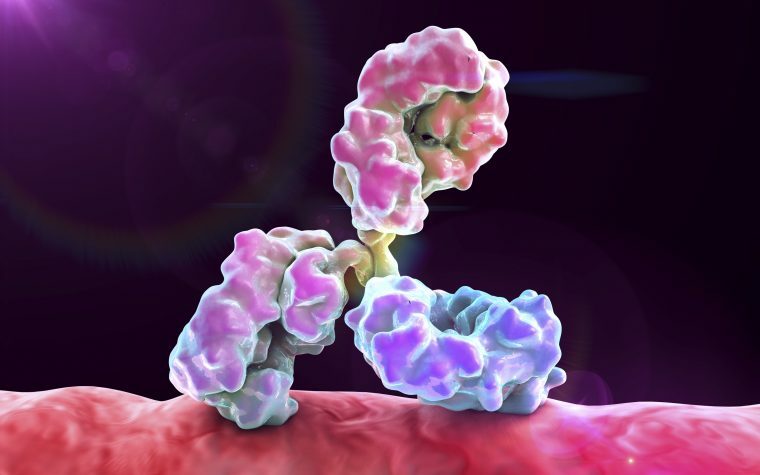 The literature analysis pointed to a role of the pro-inflammatory cytokine interleukin (IL)-6, shown to be increased in Gaucher disease patients, in high levels of ferritin in these patients. The authors suggested that IL-6 regulates the levels of hepcidin, a liver-derived hormone that induces the degradation of an iron exporter protein, increasing the iron levels inside the cells. Therefore, a mild chronic inflammation may induce alterations in the iron metabolism and increase iron levels. Iron can be toxic and carcinogenic in a variety of mechanisms, possibly being responsible for the increased susceptibility to cancer seen in Gaucher disease patients. Not only the production of free iron-derived oxygen radicals can lead to cell damage, as high iron levels can also impair immune surveillance by the immune cells, which may lead to the development of cancer. In the liver, high iron levels may also induce fibrosis, which is a risk factor for the development of liver cancer. Finally, the authors suggested that measuring hepcidin or ferritin levels may be of clinical importance to predict iron-related complications in Gaucher disease patients. Tagged cancer, ferritin, hepcidin, IL-6, Inflammation, iron metabolism, macrophages, neurodegeneration.